The prevalent call drop agitation took an interesting turn, as CEOs of top 6 telecom companies have grouped together to fight this menace. In a rare display of teamwork, CEOs from these top 6 telecom firms have written a combined letter to DoT and TRAI, requesting them to stop sealing of towers, especially in New Delhi and Mumbai. They have directly blamed his tower-sealing drive for call drops. This letter has been written and signed by: Gopal Vittal, JMD and CEO of Bharti Airtel; Himanshu Kapania, CEO of Idea Cellular; Sergey Savchenko, CEO of Siestema Shyam (MTS); Gurdip Singh, CEO of Customer Business, Reliance Telecom; N. Srinath, MD of Tata Teleservices (Maharashtra) and Sunil Sood, CEO and MD of Vodafone India. As per this letter shared by top CEOs of telecom firms, for every 40 tower sealed by the Govt., they witness an increase of 20% in call drops. They are complaining for the fact that in the last week itself, MCD had sealed 16 sites across Delhi-NCR region; meanwhile 70 sites were sealed last month, also mentioning Mumbai’s tower-sealing drive. In total, the letter informs us, that 1700 sites have been sealed all over India in the last 12 months. The letter requests the Govt. to de-seal these towers immediately, as they have all the required licenses, permissions and even the required fees has been paid. 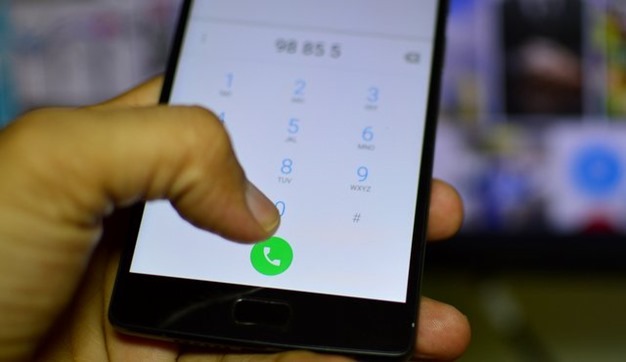 Meanwhile TRAI has assured that they will come up with their ‘Information Paper’ on call drops in the next 15 days. They are right now conducting their own survey regarding the call drop issue in metropolitan areas. Radiation from Mobile Signal Towers: Health Hazard? There is a great deal of ambiguity right now, on the issue of radiations emitting from mobile signal towers. Delhi Medical Association, in 2013, clearly stated that there is no evidence to suggest that radiations from such towers can be harmful for humans. This statement was based on World Heath Organization’s study on the same subject carried across 13 countries. On the other hand, last month, TRAI imposed a fine of Rs 10.8 crore on 11 telecom companies for exceeding radiation limits from their mobile towers; which also included fine on BSNL and MTNL. In 2012, Mumbai has banned all mobile towers which were present near schools and hospitals. While call drops is a huge inconvenience for mobile users, the health hazards associated with mobile towers cannot be completely ignored. Govt. should make sure that a full and final resolution be reached on this issue of radiations from mobile towers, and instruct MCD and other civic bodies from metropolitan areas to act accordingly. We cannot blame the telecom firms for call drops, if towers are sealed at this rate; but we cannot take risks with the radiations emitted as well. The ball lies in the Indian Govt.’s court now; and they will have to take a firm stand on this one. You can read the letter sent by the CEOs of 6 biggest telecom companies here below. "Telecom CEOs Are Unanimous On Call Drop Fiasco; Requests DoT, TRAI To Stop Tower-Sealing Drive In Delhi & Mumbai", 5 out of 5 based on 1 ratings. These CEOs are shedding crocodile tears. No government agency would like to mess up with a big private company unless there is really a problem with their tower approvals.